Portal 2 for Linux beta released! After Metro: Last Light FPS and Football Manager 2014, Portal 2 is the latest blockbuster game from Steam to reach our shores. 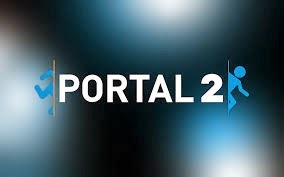 If you don't know already, Portal 2 is the award winning sequel to genre-defining first-person puzzle platformer, Portal. Both the sequel and the original were huge successes across platforms. Portal was released for Linux sometime in mid-2013 along with the likes of Dota 2, Half Life 2 and Left 4 Dead 2. Portal 2 for Linux is still in beta, which means, you need to opt into the Beta from the Portal 2 properties in your Steam Library in order to access the game. Linux system requirements for Portal 2 beta must be similar to that required by Portal.